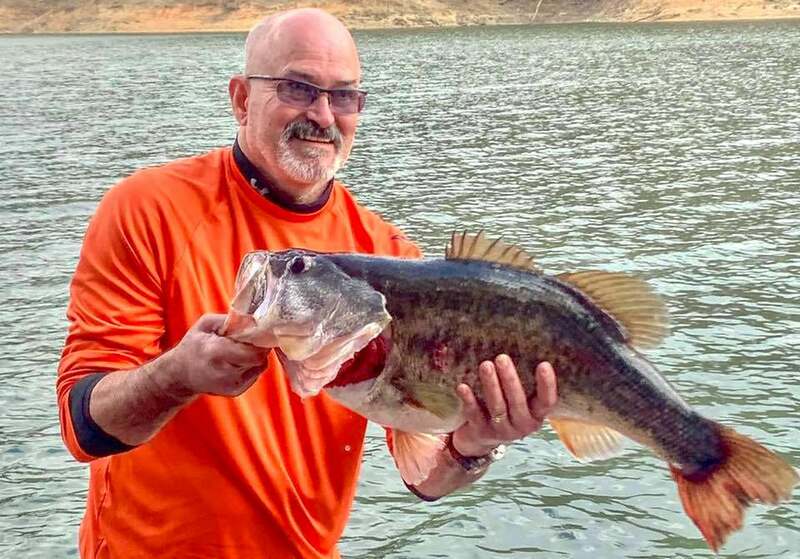 Sallisaw angler Gary Cox was less than an ounce from beating the Oklahoma state record largemouth bass with his catch weighing 14 pounds, 13 ounces. Lots of good pictures and funny video with this one. 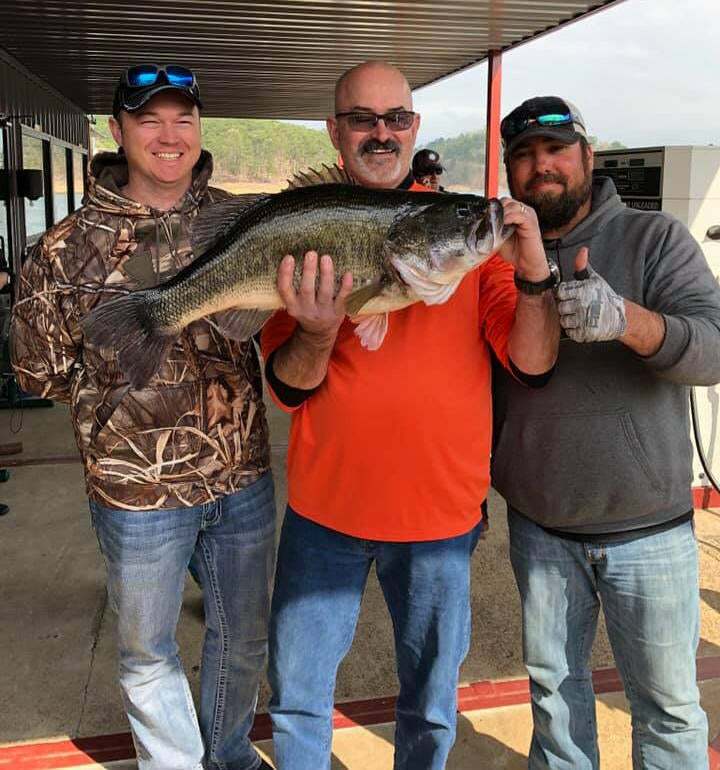 Dr. Gary Cox, a veterinarian in Sallisaw, Okla. was fishing with his buddies Scott Shell and Trevor Teague on Broken Bow Lake when he hooked into a once-in-a-lifetime bass. 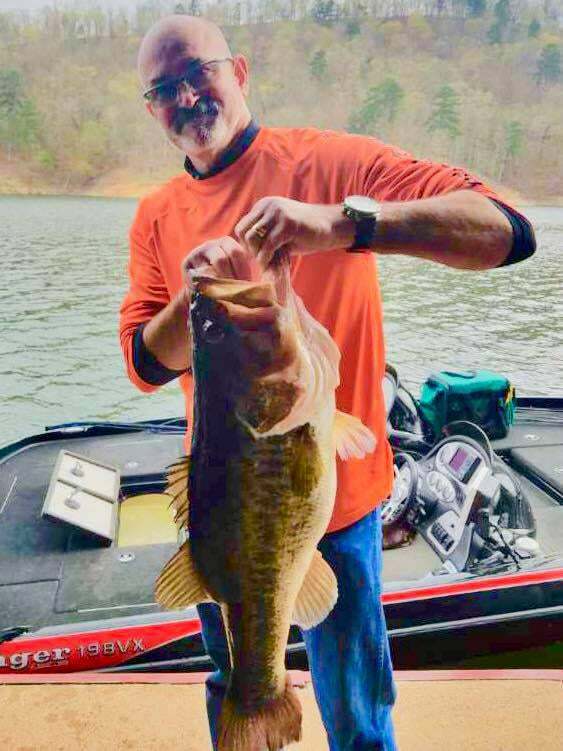 He was fishing a Strike King Rage Craw on a Kistler Rod with 15-pound Trilene Big Game on a Quantum Cobra reel when the big bass bit. The video is priceless they posted on Facebook, although fair warning there is some language in it (link at the bottom of the story). 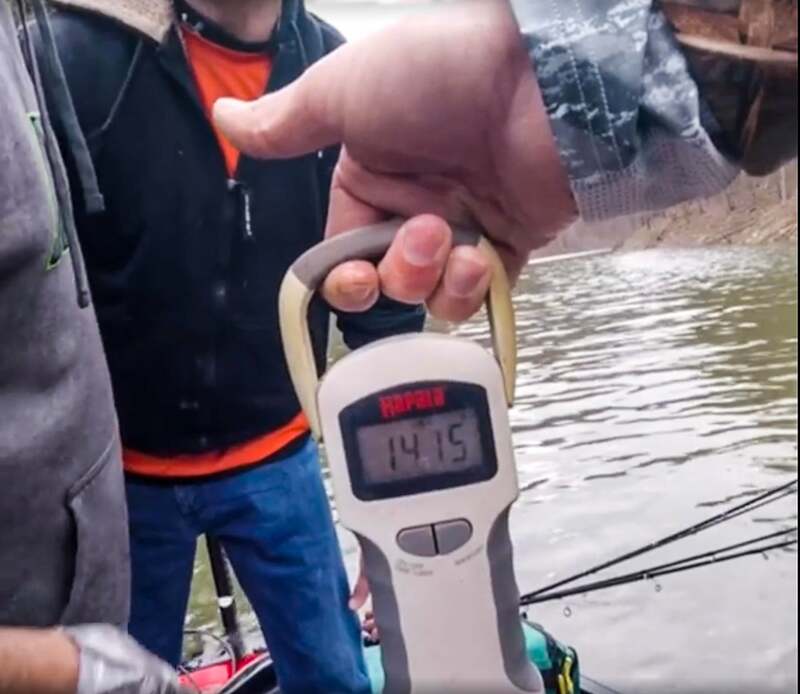 The big largemouth bass will rank as the second largest bass ever caught in the state of Oklahoma, barely missing the state-record mark by less than an ounce. The beautiful largemouth bass was released after measurements and swam off on its own power. 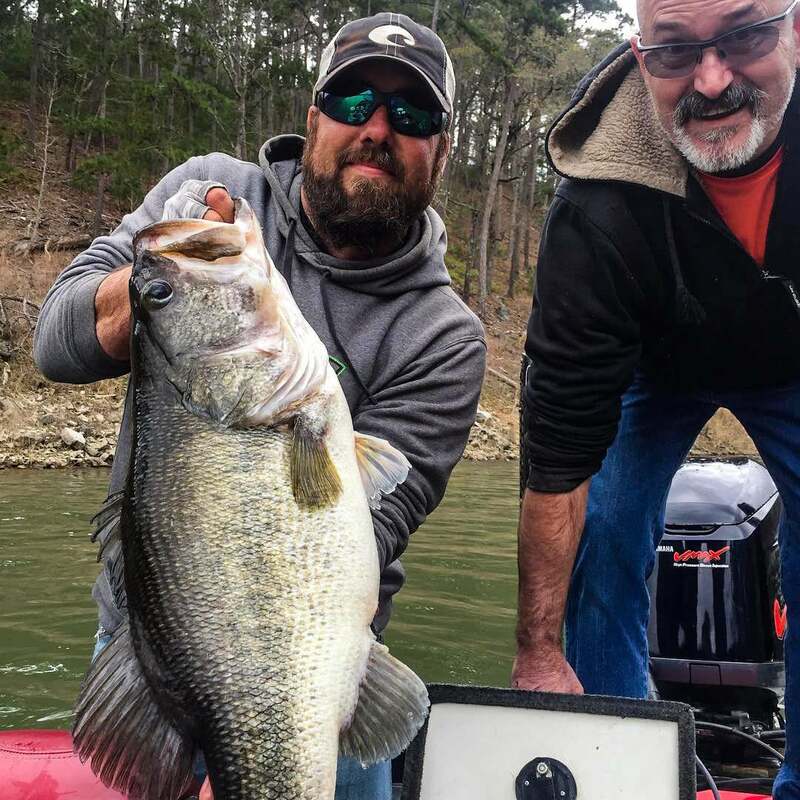 Now is the time to get out and hunt the biggest bass of the year. 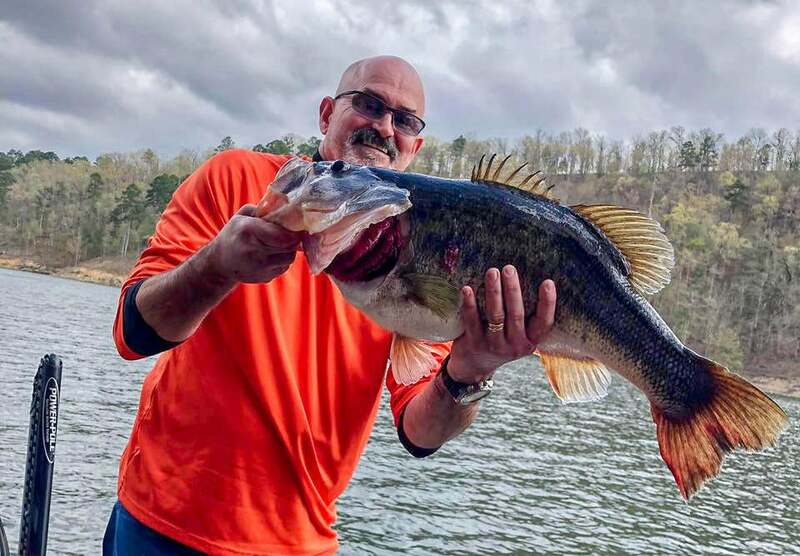 If you haven't read our piece on how to catch a record fish, check it out and check out the other pictures and videos from Mr. Cox's amazing catch here! Great job guys!